While another branch office could be in the future, at the moment D.L. Evans is putting an ATM kiosk at the corner of Pancheri and Crane Drive. There are three new developments on the retail financial front this spring in Idaho Falls. Number one, D.L. 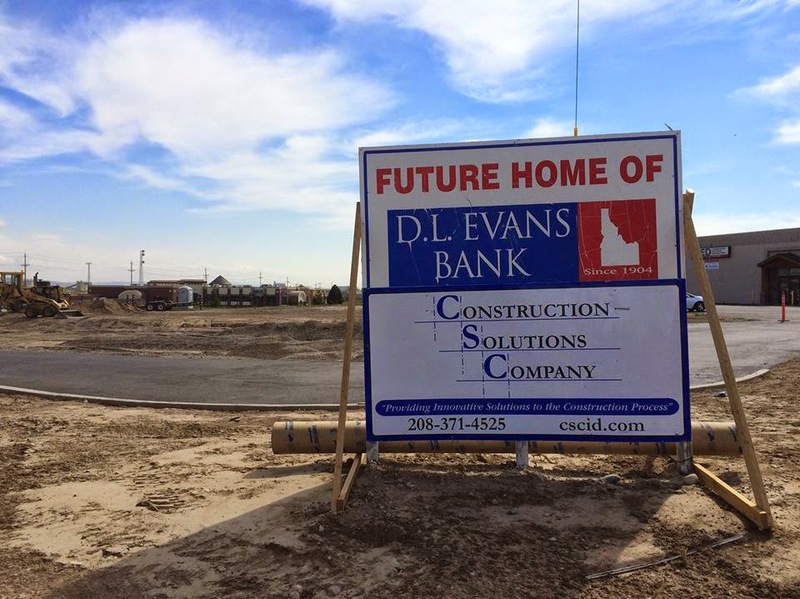 Evans Bank, fresh off opening a new branch in Ammon, is building a drive-through kiosk on the corner of Pancheri and Crane Drive. Idaho Falls already has one such kiosk, the one built installed by Wells Fargo north of the new Walgreen’s at Skyline Drive and West Broadway. Expect to see more of them, as they represent a growing trend in the industry. Analyst Nancy Bush of NAB Research told National Public Radio last year that instead of spending on real estate and staffing, banks can install street-corner ATMs and pay fewer employees to video chat from remote call centers. That doesn’t mean branches are going to go away altogether. “They still see the branch as their biggest revenue generator,” she said. On Outlet Drive, north of the Sleep Inn and Double Down, Westmark Credit Union has filed site plans at the Idaho Falls Building Department for a new 4,694-square-foot branch office. This will be its fourth office in the Idaho Falls area. Officially know as West 33rd South, Outlet Drive extends north from West Sunnyside Road all the way up to a point where it becomes Bellin Road. As for the third piece of news, H&R Block has filed plans with the city to locate in the Railway Crossing Center on Utah Avenue next door to the Jamba Juice that will be going in.